For over 35 years Gavin was involved in research, development and assessment of diving systems and procedures for the Royal Navy. This included the development and assessment of re-breathers, creating active thermal protection systems and producing mix gas Decompression Tables. He is involved in the development of standards for diving equipment and helicopter ditching systems. A diver since 1970, he has qualified as an HSE pt III commercial diver and is a recreational instructor. He is a Trustee of DDRC Healthcare, Secretary of the BSAC Jubilee Trust and provides technical support and advice to the BSAC. 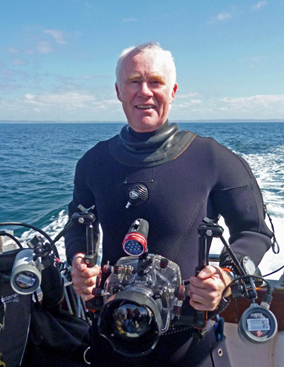 He is currently a Director of GAVINS ltd and is an independent Consultant for Diving and Life Support.